Today is the last Sunday of November, this month was pretty awesome. 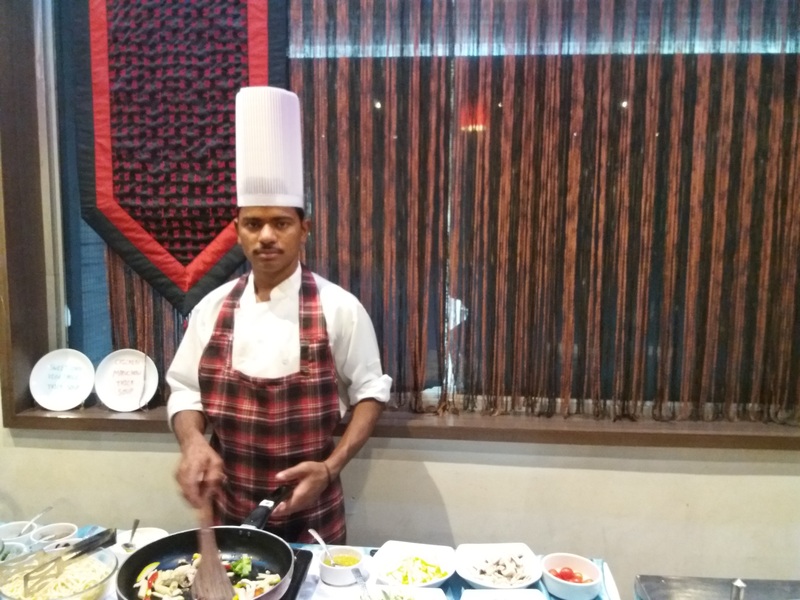 I went with my husband to the Chutney Chang restaurant at Jayanagar in Bangalore. This place is pretty decent and the ambiance was good, restaurant people are quite friendly and quality of the food was very good. As soon as we went, they served soup at the beginning, I chose corn soup, it was pretty good and then we went to starters, They were salads and fruit spreads also. But this time I skipped both since I want to concentrate on starters and main course, otherwise I would fill my stomach with salads and fruits. Vegetable fried Wonton – It’s a kind of dumpling stuffed with veggies, this is very yummy when you dip it in sweet chili sauce. Crackling Spinach – Chopped spinach deep fried until it gets the crispiness, It was salty and sweet as well. I would say it was perfect one and different one. Mixed Vegetable Manchurian Dry – Vegetables like baby corn, cauliflower, cabbage and carrot were fried to crisp, tossed in a spicy, tangy sauce. Paneer Tikka – Paneer pieces are grilled lively and served. Broccoli and Lettuce were sauteed with garlic and oil, it was very yummy. The Masala pap pad was like usual. 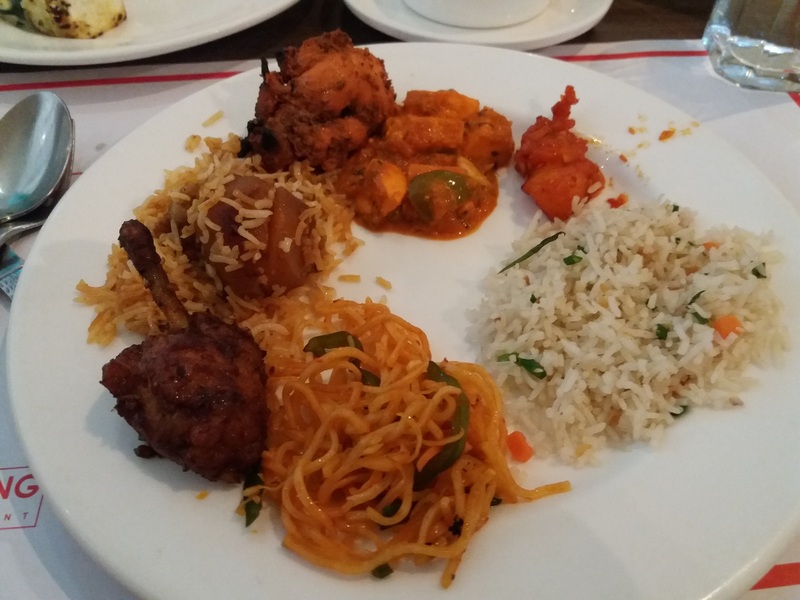 When I finished my starters, I felt my stomach was full. 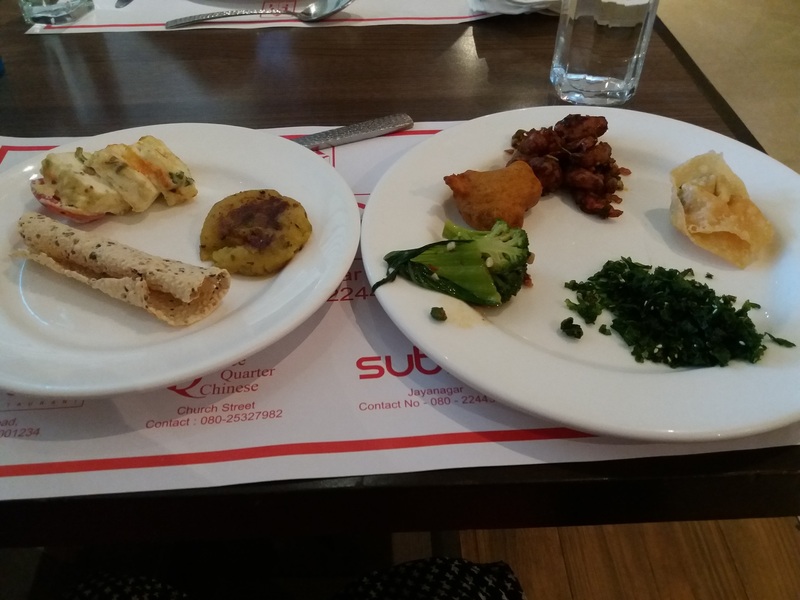 I took a break of 15 mins and then i went to Main course, The had many varieties in Veg and Non Veg, I tried only a few of those which you can see below. 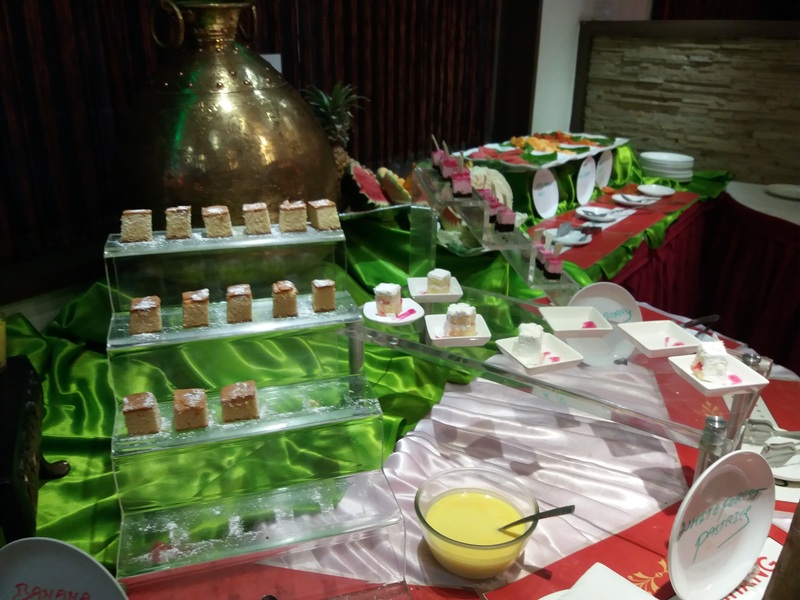 As usual fried rice, Dum Biriyani’s in Veg and Non-veg, Noodles, Paneer gravy, Dal Makhani, Mixed Vegetable Curries, Indian Breads, Fish Gravy, Chicken Gravy, Mutton fries, Chicken fries and fish fries were also there. 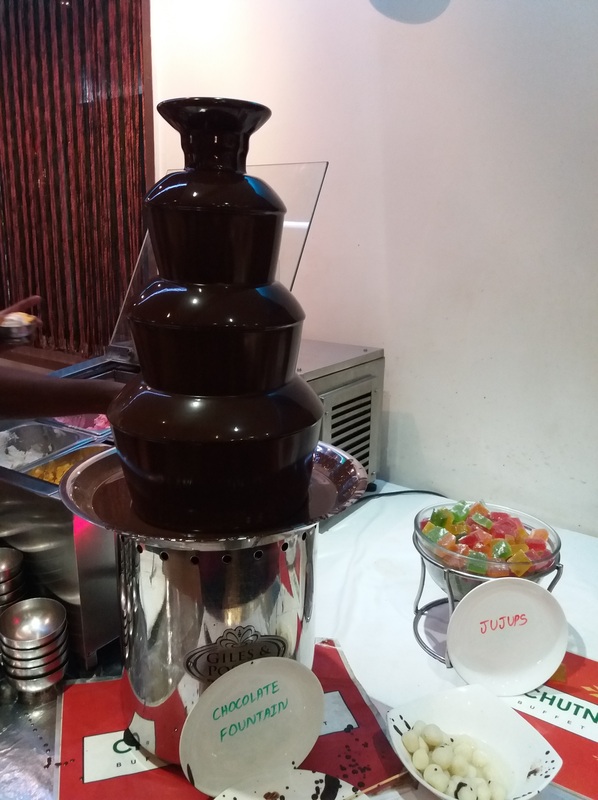 Kids were so excited to see this chocolate fountain and they enjoyed with candies. 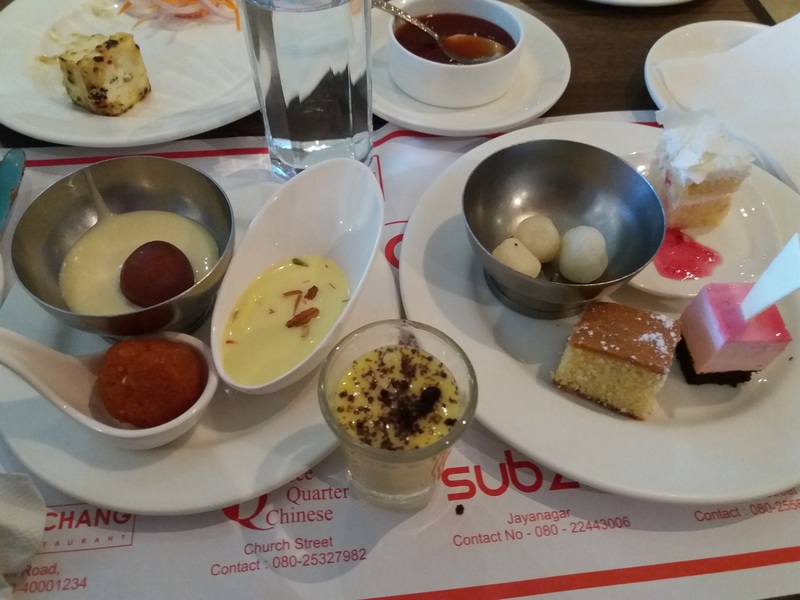 I tried few of those like Ladoos, Rasamalai, Gulab Jamon, Rasagula, Banana Kheer and some cakes. The crowd was also good since it was a lunch time, I found most of them were families and they were enjoying the food. This place is a must visit in Bangalore. I think it’s good to book the table before we go to this place.